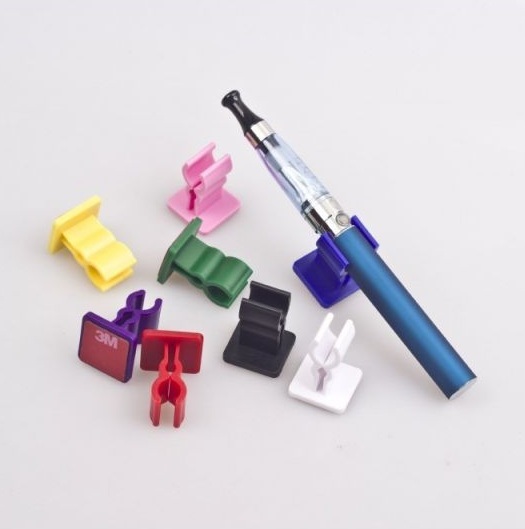 E-cigarette plastic car or desk holder. Very easy to mount. Brand Name: Jomotech Material: plastic with silicone rubber, used in car or at home Model: plastic car holder Available colors: black. Mod E-cigarette plastic car holder. Very easy to mount. 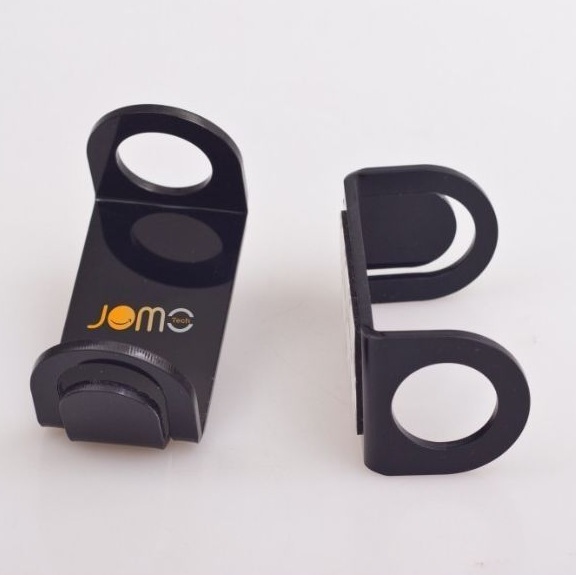 Brand Name: Jomotech Material: plastic with silicone rubber, used for car Model: plastic car holder Max e-cig diameter: 23mm. Available colors: black. 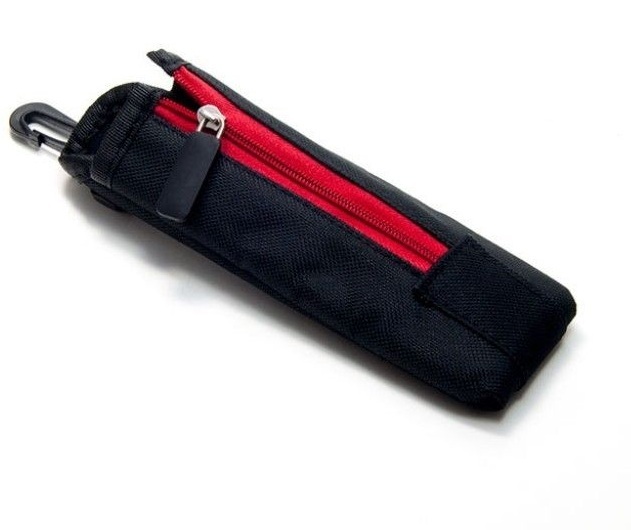 Vape zipper case/ mod bag/ vape bag with plastic locker. Product details: Name: Jomotech ecig zipper mod lanyard Brand Name: Jomotech/OEM Model: ecig zipper mod lanyard Certification: CE, ROHS Feature: Fashion nylon zipper mod lanyard Fitable: ego pen, full mechanical mod Dimensions: 168mm x 50mm. Atomizer coil tool v1. 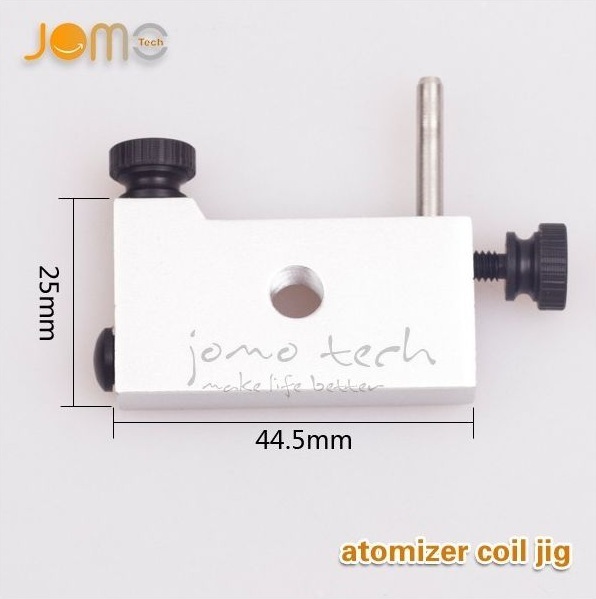 Brand Name: Jomotech Model Number: Atomizer Coil JIG Main material: stainless steel Functions: Easy to build micro coils Weight: 25g Packing: Gift box Color: stainless Code: A505. Atomizer coil tool v2. 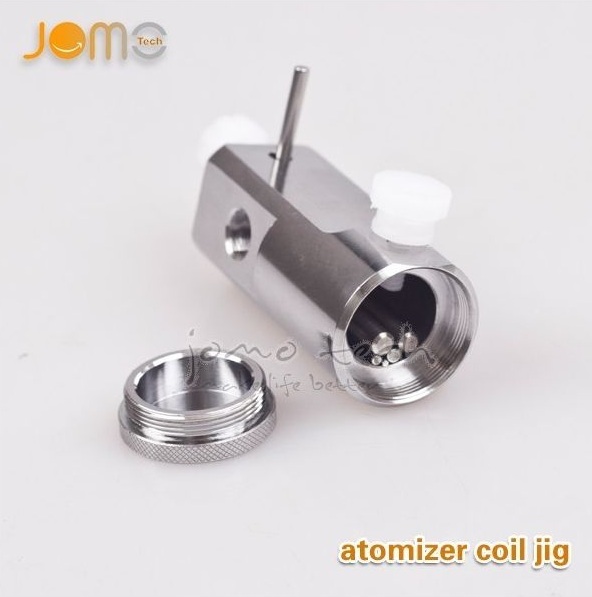 Brand Name: Jomotech Model Number: Atomizer Coil JIG Main material: stainless steel Functions: Easy to build micro coils Weight: 113g Packing: Gift box Color: stainless Code: A504.